This little joint was probably my very first introduction to Thai cuisine. Thai House Express has been a part of the Palmerston North foodie scene for over 20 years, and offers over 60 authentic Thai meal choices in its simplistic cafeteria-style restaurant on Broadway Ave.
Thai House Express is a family-run business, and it is heartening to see the second generation taking over behind the counter. 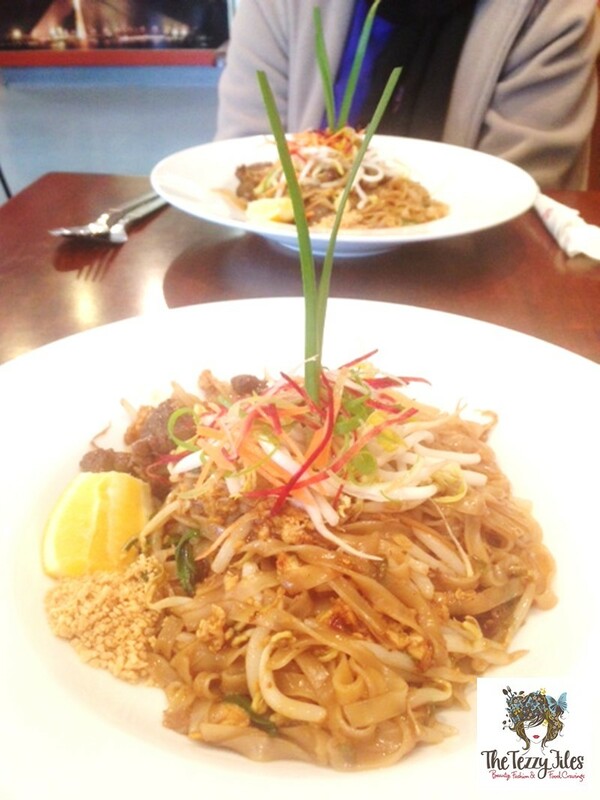 In peek New Zealand winter, where the temperature outside is hovering just below 5 degrees, I like my Pad Thai extra-spicy Thai hot. The staff at the restaurant marvel at my ability with ‘Thai Hot’, and are even more impressed seeing me sprinkling on more of the chili flakes. Apart from the Pad Thai, I would highly recommend their Thai Seafood Laksa. This hearty coconut milk-based soup is brimming with exotic Thai flavors, and the serving size is big enough to be shared. There’s nothing particularly Cuban about Cafe Cuba. The cafe got its name from its street address, and a few random Guevara-worthy works of art take presidence on the deep-maroon walls. Cafe Cuba has always been packed. You would be hard-pressed finding a table here, especially past 5 pm when work-mates catch up for the coffee rush. Of all the temptations on offer at Cafe Cuba, nothing comes quite as close as their iconic Silk Cake. 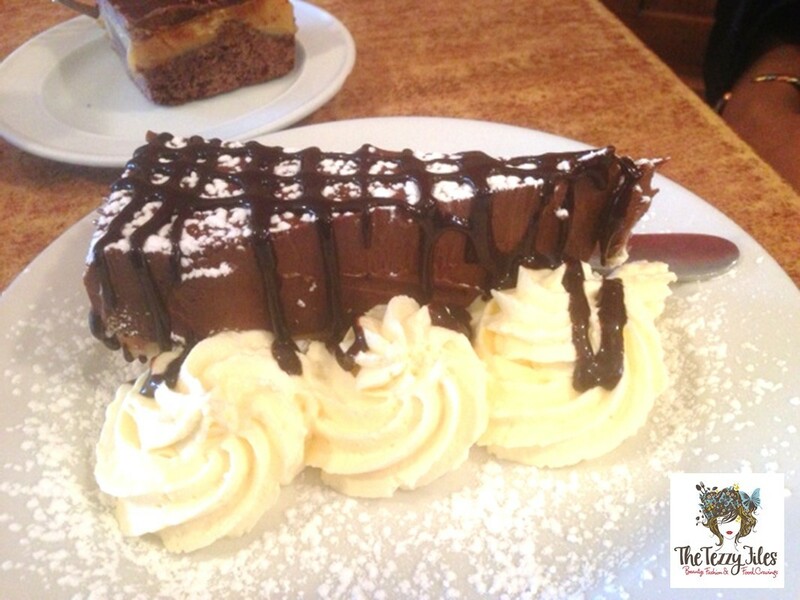 Cafe Cuba’s Silk Cake is a decadently rich, smooth-as-silk mousse that is sinfully chocolate. It sits on a crumbly salted biscuit base, and is drizzled with a deep, dark chocolate sauce. With a dollop of cream on the side, this is a morish, chocaholic dessert you need to sit through and devour at your own pace. Shamiana is an Indian takeout joint in the food-court of The Plaza, Palmerston North. The UAE has Shamiana branches around the country, but the one in Palmerston North only shares the same name and is a separate entity owned by a Palmy resident. Every time I am in Palmerston North, I make it a point to have their Butter Chicken. 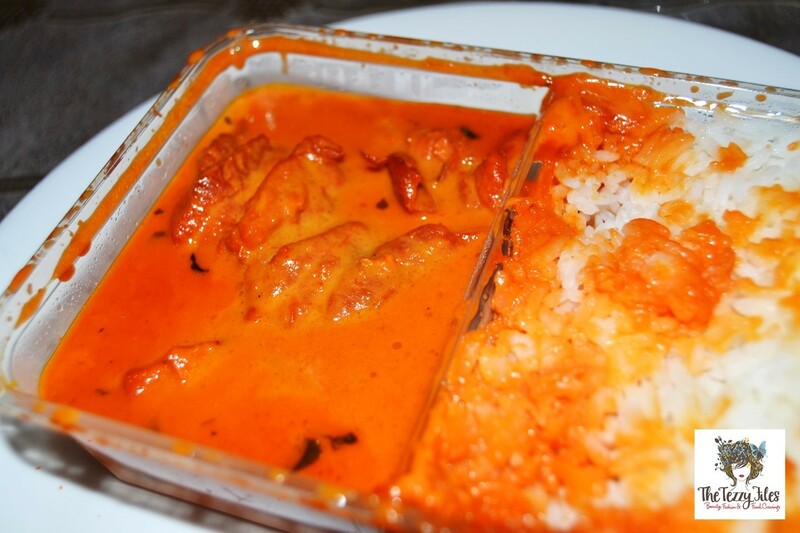 Their Butter Chicken is very different from the usual, authentically Indian spiced version. Shamiana makes their’s sweeter and creamier. More for the Kiwi taste-buds I reckon, and I love it! Pity it isn’t very photogenic, but Shamiana’s Butter Chicken remains their best-seller followed by their equally sweet yet nutty Chicken Korma. Posted in Holidays, Places, Restaurants and tagged cafe, dubai, Food, indian food, manawatu, new zealand, palmerston north, restaurant, silk cake, thai food. Bookmark the permalink. Yummy! I’m so hungry now! Just checked out your blog, and wow you are a Kiwi in Dubai too! So good e-meeting you 🙂 Must catch up sometime soon! The Tezzy Files: Nominated for Ahlan Masala Awards!